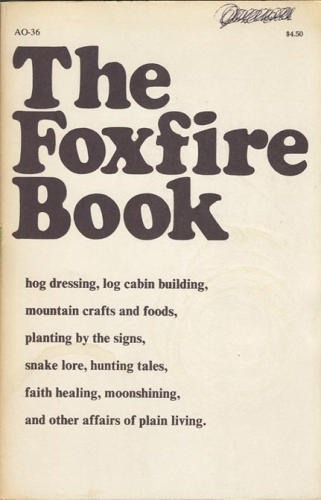 The Foxfire series is an unmatched collection of Appalachian stories and legends, and I have been collecting the books as potential presents for my godson. I have a lot to learn from these books before he learns how to read and I send them his way. Then we can forage for mushrooms and spring wild plant foods together. The series started in the late 1960s as a magazine published by students who wanted to record the wisdom and idiosyncrasies of their local elders. It is based on interviews with Appalachian men and women about “affairs of plain living,” like snake lore, moonshining and midwifing, and in Foxfire 2 (1972), traditional forms of beekeeping. You can download the eight-page beekeeping chapter as a pdf here. 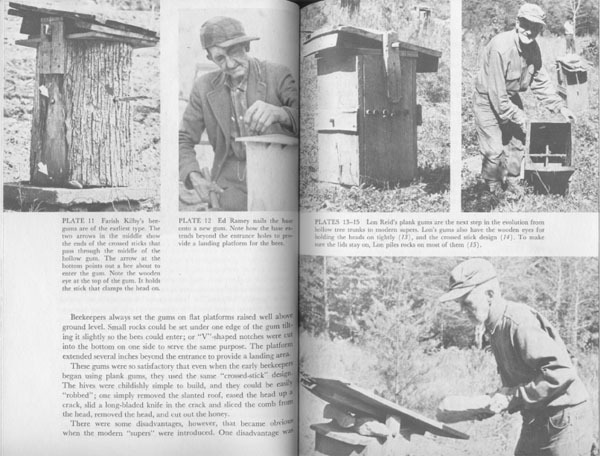 I like how these stories teach low-tech, cheap, scrappy beekeeping practices. They are personal stories that pass on a know-how and a tradition that otherwise might not have been put to paper. Foxfire publishes many unique books, cds, and has a museum in Mountain City, Georgia. I inherited Foxfire 1-4 from my Mom when she passed, and I have a serious interest in beekeeping (but am unable to do so now b/c I live in a small apt in Los Angeles). I ran across your entry when searching for which book had beekeeping in it (Wikipedia mentions it’s in there, but not which book). I’m so glad I have the one with bees! I’ve just started reading the first book, and may have to go to the library to get 5-12 as I move through them. Thanks for the post on this incredible series.